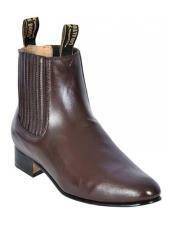 The Western style cowboy boots for men were originally designed for riding purpose only. 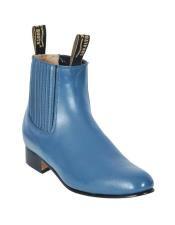 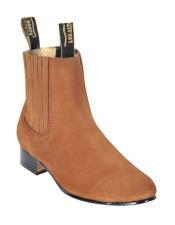 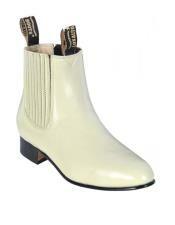 But with fashion trends setting up, these classic western boots went on to become a stylish trend. Dating back to the origination of men's cowboy boots, these western boots have a rich and interesting history. Certain parts of the boots were created because of what they were mainly used for before. For example take the heel of these western Cowboy boots, the heel is not at all decorative and is shaped in a particular way so that it fits in perfectly that helps secure the Cowboy on his horse. 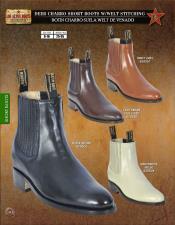 Why choose western cowboy men's boots? 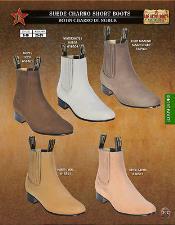 Well the beauty of Western boots is that it does not take much to create a stylish outfit with them. 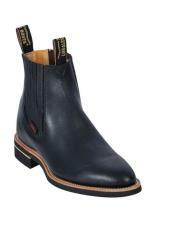 You can actually choose to pair up these western cowboy boots with a simple button down dress shirt and a denim jean and let these classic boots carry the day. Yes, these cowboy western boots are those that make a powerful style statement. 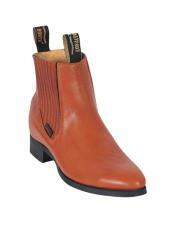 Most of the cowboy boots' have a strong bit of flair to them. 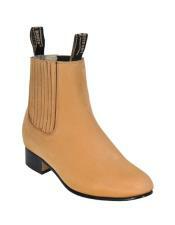 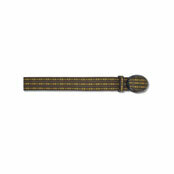 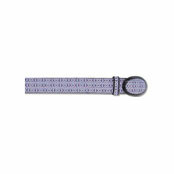 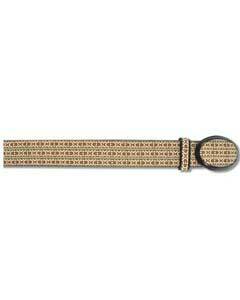 Their height, toe shape, heel height, and overall style make them the focus of your outfit. 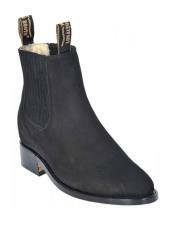 Hence wearing a western cowboy boot with any of your casual outfit is enough to make your fashion statement completely. 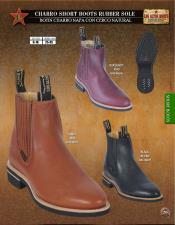 There are a number of different styles in cowboy western boots like the ropers style boots, stockman style boots, western work boots, and buckaroo style boots and so on. 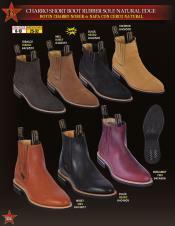 When it comes to the toe shapes of these western boots you again have many options like the square toe, traditional toe, snip toe, rounded toe, and so on. Having the origin in Spanish, Italian and European roots, these botines charros are a must have in every man's footwear collections. 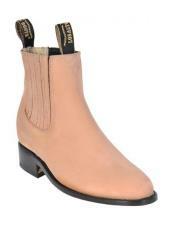 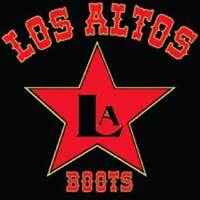 These cowboy style botines de charro come in various styles and designs. either look cowboy men's boots or simple search for botines charros para hombre, all take you to the classic collection of charro boots for men. 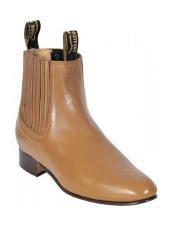 Many people search for botines el canelo, el charro boots or charro botines in Spanish to look for the most relevant options in western cowboy boots for men. 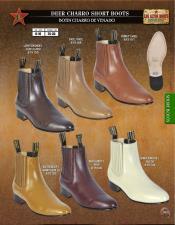 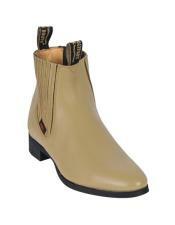 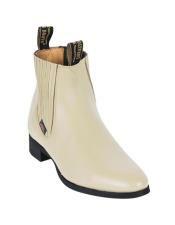 Mensusa sells latest designs in western cowboy boots collection for men online. 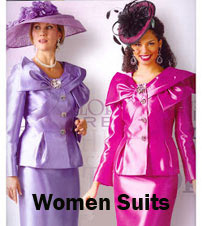 There are number options available from which you can choose from. 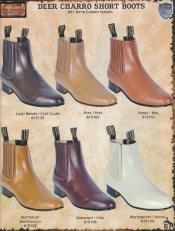 Different color options are available in cowboy boots for men like black, brown, white, yellow, and burgundy, red and so on. 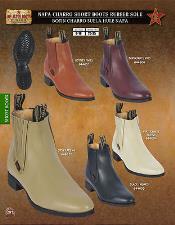 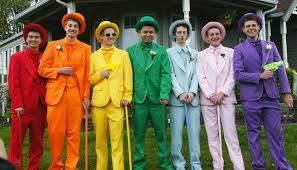 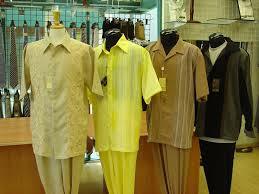 We also stock all possible men's sizes in western cowboy boots. 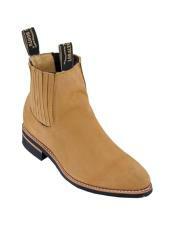 You can browse a dedicated category selling all branded western cowboy boots for men like Los Angeles, Wild West, and Stacy Adams and so on. 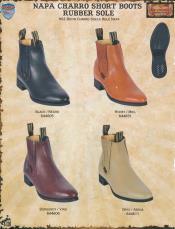 All of these cowboy men's boots are crafted in authentic leather fabrics and designed keeping comfort into consideration. 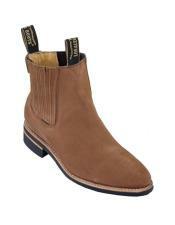 Simply check us out at www.mensusa.com and browse for amazing and unique trendy options in western cowboy boots for men.